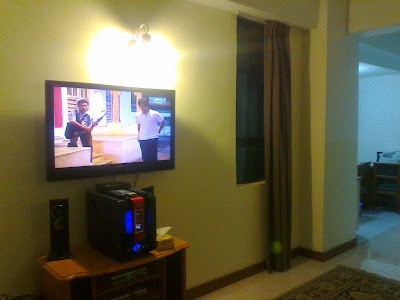 On 15th February 2013, it was early morning of Friday. The rain still ain't rest instead it became heavy and more heavy due to the weather. For sure, in that day Cronical Dean and his student Muhammad Haziq was planning to drop their tires on our honorable place, High Castle ( Kota Tinggi ). But i am felt little frustrated. The rain might make our step on fuel pedal slow and super calm. But it doesn't matter. Since the guest was here, i would not make them disappointed. We were met at Petronas Kota Tinggi at 2.15 morning. I straight away brought them to the top of Air Terjun. The rain is still rained. The road is wet. The leaf is scattered. Through the conditions we were planning for cruising. Haziq brought his P3-21A (Proton Preve). This machine was owning 138bhp setup with Charged Fuel Efficiency (CFE) and completed with the latest system of braking Anti Brake-Lock System (ABS). It is really helping in wet road condition. This car was a first model of sedan Proton car come with the turbo inside. Proton Exora also included with turbo inside but it was classified as MPV car. On our first try, I manage to keep with him from behind. 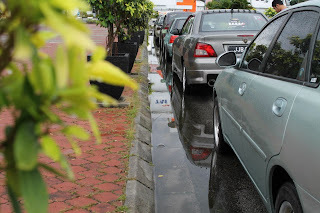 But due to the differences of our car, I was fall behind with the burst water and the leafs. I am getting shocked. About 5 to 6 cars out of the range that i have been leaving behind. My car's ABS was not function . I had to manage the brake carefully. We started leaving Air Terjun and went to Lukut Cina. There was another tragedy of Tokong Kari Ngeri. We were almost crushing to the next road near to Buddha Temple. Usually the temple always switch on the light so we could look clearly the exit of the temple and the main road. In that tragedy we were hopping from the exit to the main road. Luckily we could do it with quickly. 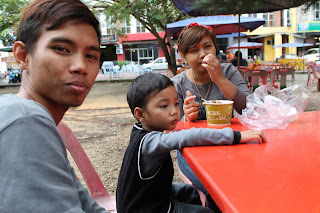 So after the tragedy we were stop by at Rosmerah (Mamak Stall). Happy new years and Happy Chinese New Years. It was coincidence because the date of this post is a day before CNY. By the way its not too late for me to wish Happy new years to all friends since there are no post recently. About 3 years HCCC was lived and developed. We were enjoying together as one community under same passion which are about cars and mountain pass. 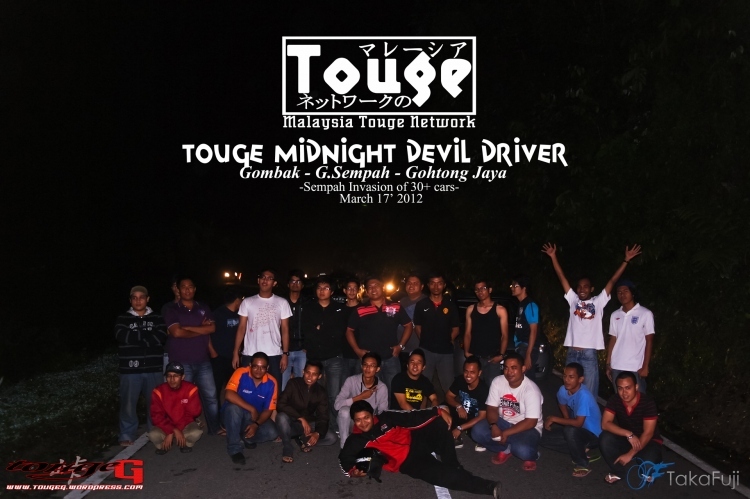 That is a prove that Touge was not about a car and road but it unites peoples to become one big family. 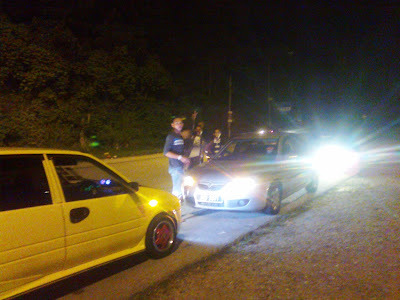 HCCC also experienced the same thing by knowing a lot of peoples behind the wheels of touge racer. In this opportunity, i want take apologize because this blog was seen not active recently due to full of my daily works. So, while this blog was hibernated there was lot of activities have done with HCCC crews. In 31st December 2012, Hadi and the gengs picnic at Air Terjun Kota Tinggi. 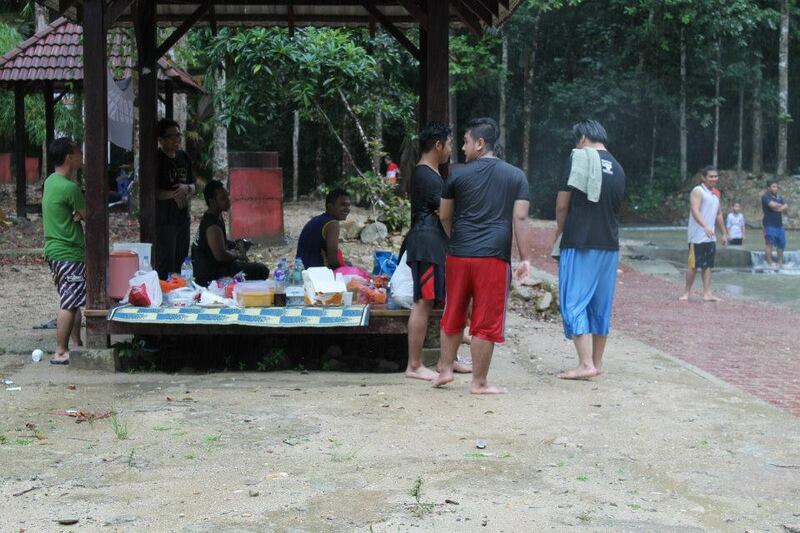 About 8 crews joined the picnic and enjoying the cold mountain river. 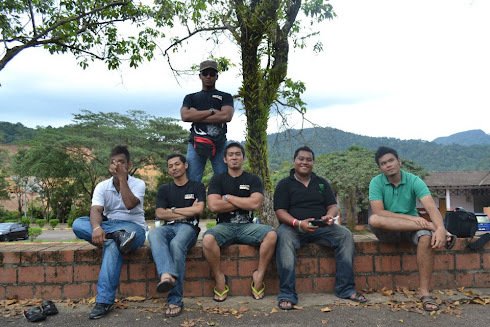 It has been our last activities in 2012. The 2013 brought a lot of changing in HCCC. In this year, my precious car was released from workshop after been bad injured in November 2011. The happiness continued when we all could be meet up at the peak of Air Terjun. 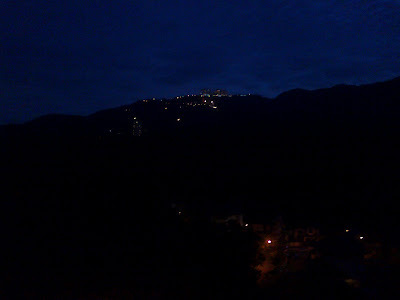 That was an our old tradition by meeting and gathering at peak of hill. 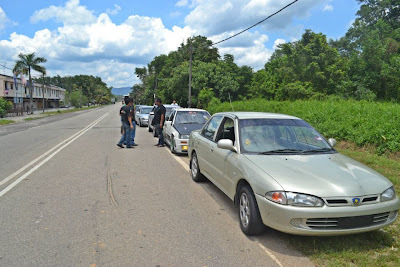 In the end of January 2013, I and HCCC crews planned to continue the sequences of Meet Southern Touge'er done in 2012 organized by Pontian crew which are Cronical Dean, Hazrin Sagaskyline, Akmal and Amin. We appreciated they came to our Home Course. So, for making a true we together agreed for traveling to their home course and enjoying picnic together. 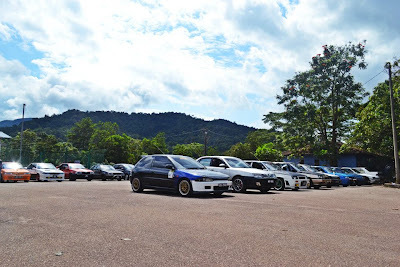 In 3rd February 2013, the Meet Southern Touge'er II was successfully done. 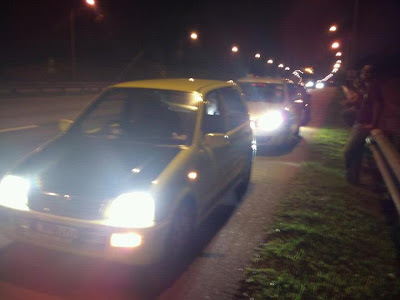 About 5 cars and 1 Jet Van from Kota Tinggi went to Pontian and met at Gunung Pulai entrance. 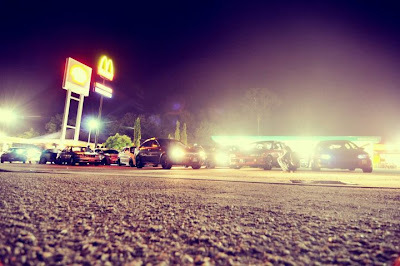 We all met Pontian Crews that representing 4 cars which are Cronical dean, Hazrin Sagaskyline, Akmal and Amin. In that day, we were enjoying even the weather was heavy rain. We had the photoshot session handled by Hazrin Sagaskyline and Cronical dean. And last but not least, the Meet Southern Touge'er II video was successfully done. We had the best day with southern touge's family. This events was make us as one big family and it should be continued. Congratulation all. It has been long time since my friend Kudut asking me to joined his Touge Video project. 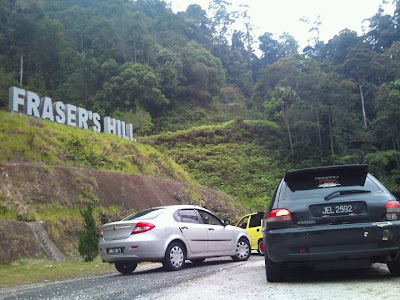 finally this month we produced one of new Malaysian Touge real scene in our country. i never been expected it will turn into "superb feedback" from friends and other viewers. got likes hit and video sharing from friends thanx lot dude ! 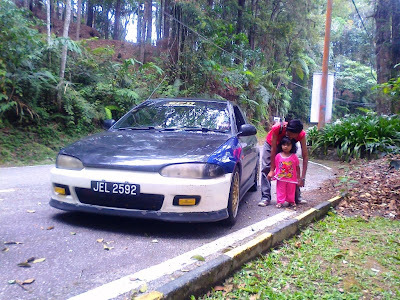 :) this video was making for introduce Malaysian Touge Culture. 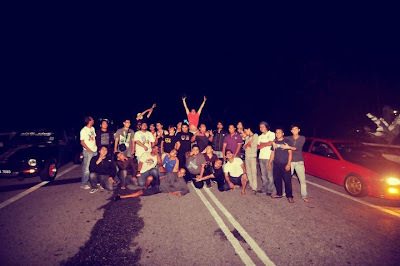 we circling on Touge for Friendship and never make this motorsport as decision battle. 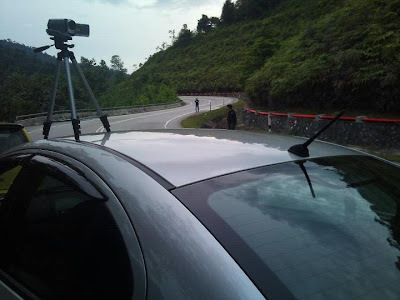 all the video footage was taken from Touge'er around Malaysia. Thanx to Kansei, Touge-R, Touge-G, Initial A type-R, Shozuka Red Sun, Southern Touge and others video owner. we proud to be one group and one big family. this is how we do it and how we sharing our passion together. at the end of this video u might see accidents scenes. we purposely adding this scene for reminds that touge was a dangerous motorsport and please drive safely. most of a driver u seen in this video are expert people and has been a long ages with this arena. for the next progress we will produce the same video but for international version by changing the maps name in English version. okay until next support our Touge Motorsport and enjoy the video ! 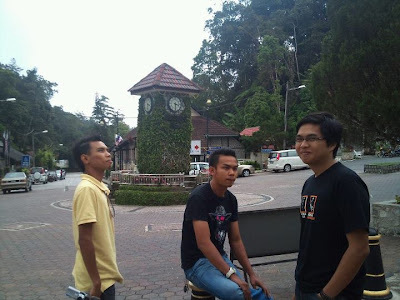 Saturday early morning 17th March 2012 - Dean start his trip from Pontian with Akmal and Ahcai while Kechik and his family already at Damansara , KL due to his work business. About 3 a.m morning Dean and Akmal pick up me at Malacca. 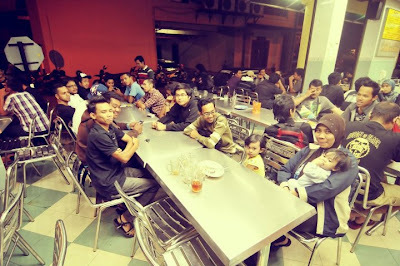 we drop in at R&R Jejantas Ayer Keroh for meet Ahcai there. 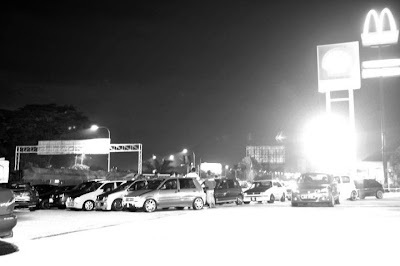 About 5 a.m we arrived at Shell near to Touge Bistro for meet Kechik. 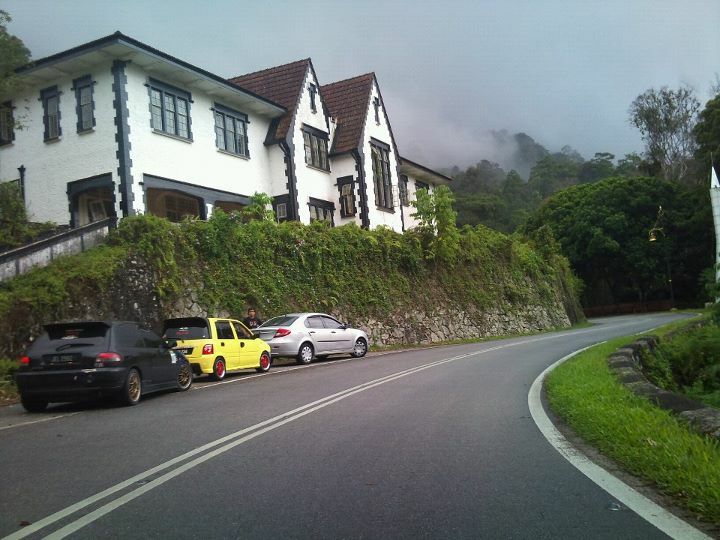 we start our trip again to Genting Highland with pass through Genting Sempah touge course. 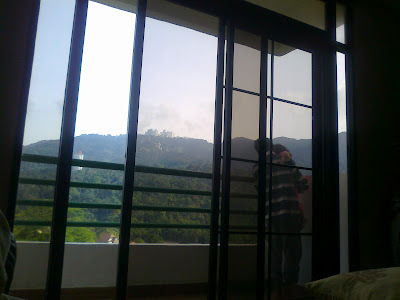 we arrived there about 7 a.m morning and resting at Genting View Apartment. 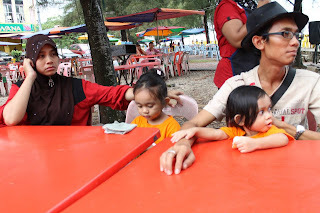 it was tiring day and we all take some nap before start our trip to Fraser Hill. Sunday morning 18th March 2012 - everyone woke up early morning and have some breakfast before start our next destination. Amir still relaxing and decided heading back to N.Sembilan. 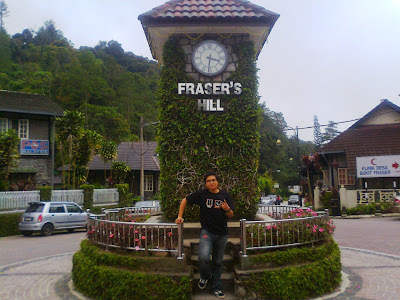 but After little conversation with Dean he canceled his plan and agreed to join us to Cameron Highland. 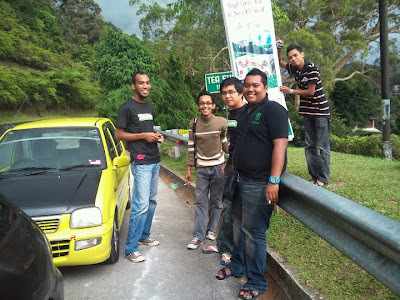 unexpected and it must be fun together with friends for Touge Holiday. 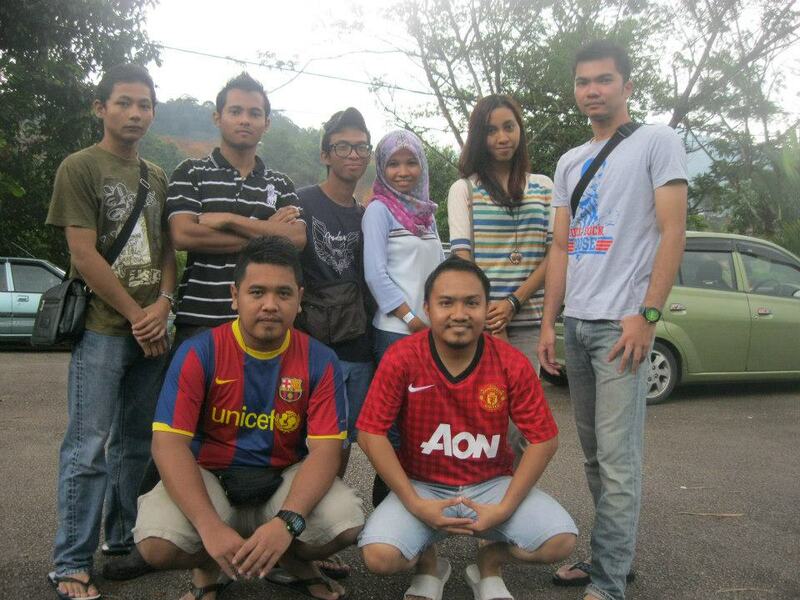 we never planned to be like this and now we all get ready to heading our next destination Cameron Highland ! Sunday evening 18th March 2012 - our trip seems to being end at Cameron Highland. we all enjoying so much together at top of Cameron. now we heading back by used Simpang Pulai road. Amir told to me that the road is high speed corner for downhill. 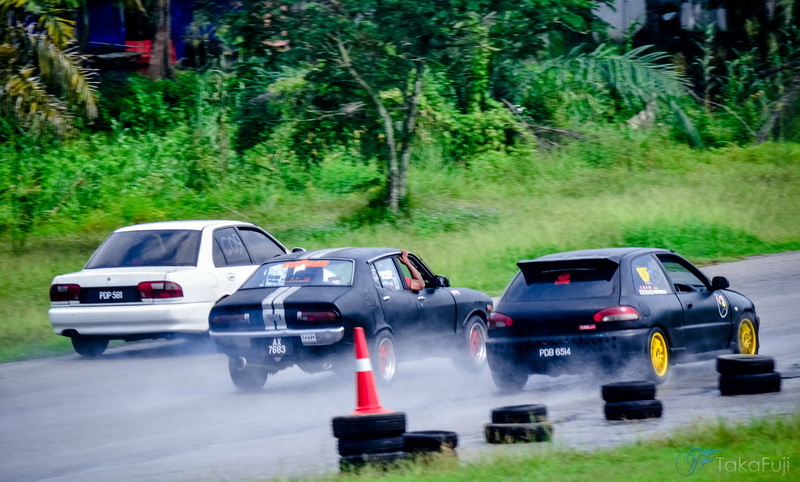 its sound dangerous but i m sure it must be fun attacking Simpang Pulai Touge course. Road condition is quite nice with good tarmac and weather its seem cloudy but not raining with little road traffic. Thanks to ALLAH we run the downhill without any mishap or unexpected thing. Amir leading the course by full throttle attacking while Dean and Kechik following behind us. 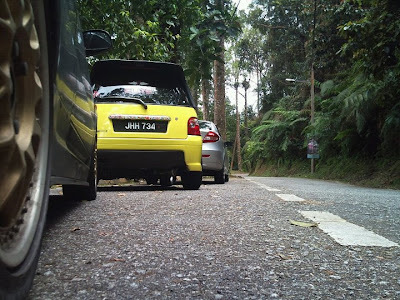 i feel much respect to Dean and Kechik because they able to following and attack the road nicely even they are still new in touge and still new with the road. 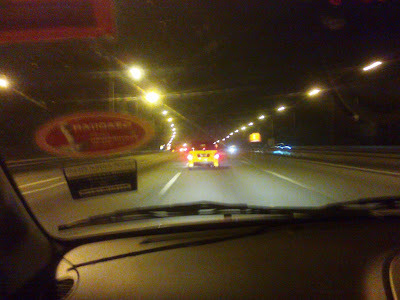 comparing to my self oh noo i can sense a big gap with them and i thought if i bring the car along with me i would be left behind haha..
Sunday night 18th March 2012 - all day long we have touge'ing together at Cameron and sure it was a tiring day. 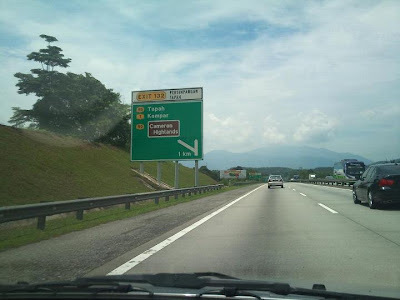 we start left out from Simpang Pulai and used the Highway heading to Sg. Buloh. 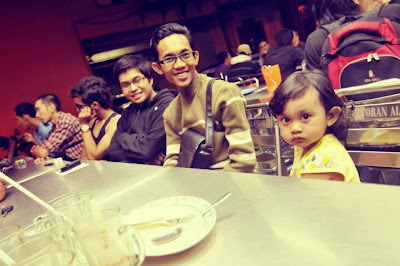 we stop by at Kota Damansara for late dinner due to heavy traffic jam at highway to Sg.Buloh. about 2 a.m morning we arriving there. we resting while there before heading back home. 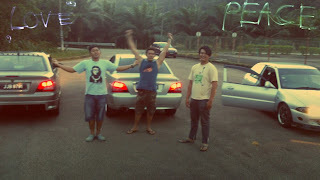 our trip ends by stop while at junction exit to Senawang Tol. we have free time before dismiss. 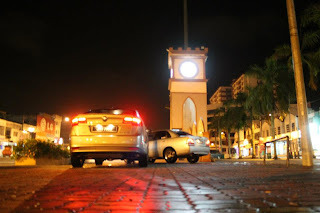 we split off by Amir turn to Senawang and the rest heading to Malacca for send me home.. about 4 a.m morning we arrived Malacca. 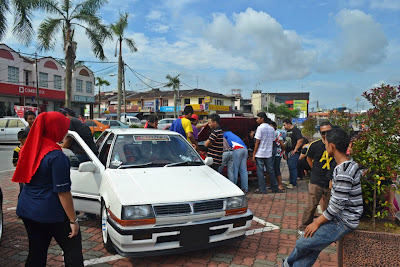 Sunday morning, 4 March 2012 the Saga Iswara Club (SIC) crews comes up from Pontian, Kluang, Kulai, Mersing and Kota Tinggi was assembling at Dataran Kota Tinggi for participated TT Silaturrahim at Air Terjun Kota Tinggi. 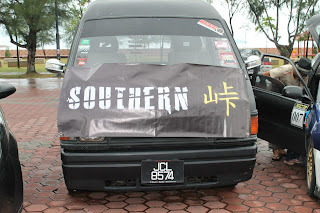 Cronical Dean is one of SIC crew and asking me create event Meet Southern Touge'er. 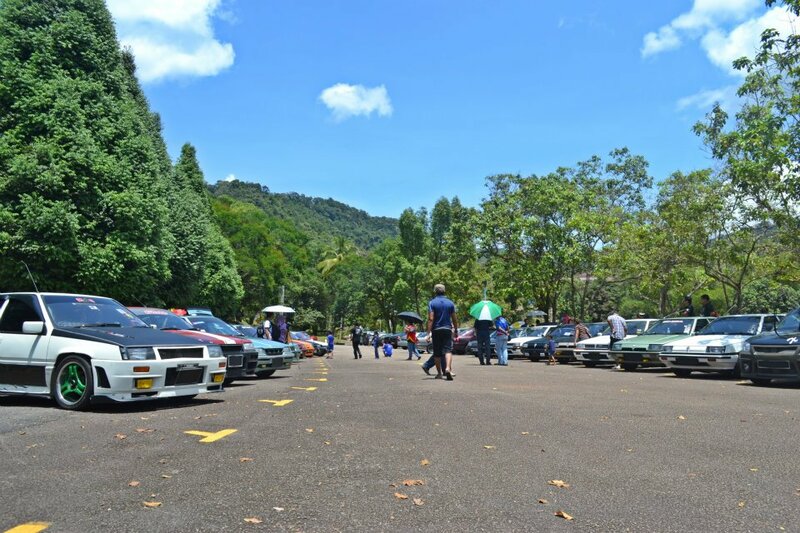 Its our objective to introduce them about Touge Culture and showing the potential routes might be use for touge. 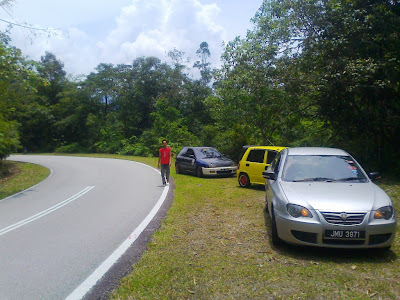 About 30 cars and almost 50 peoples was gathering at Air Terjun Kota Tinggi for happening day. 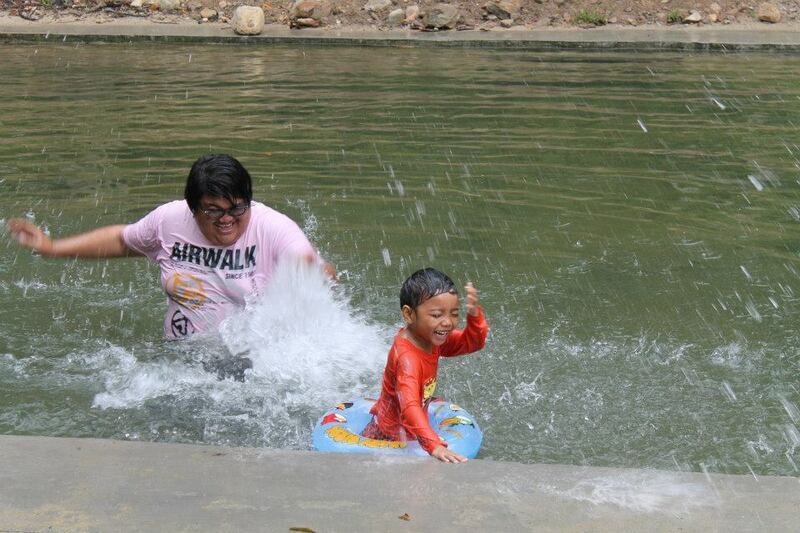 Luckily, Zakwan from HCCC crew success adjusting the lower price for entering Air Terjun Wetworld. Usually for weekend, they charged for Car RM5 Adult RM 10 and Children RM 5. 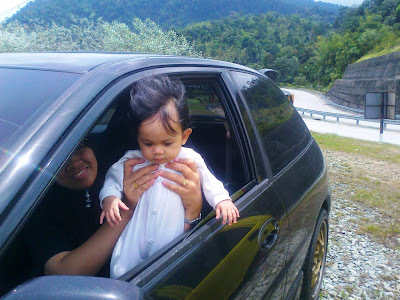 But after been adjusting the price we got RM13 for one car not including adult and children prices. it was a good day because we meet a lot of new friends which friendly and nice person. One of them is Kechik (Hazrin Sagaskyline). 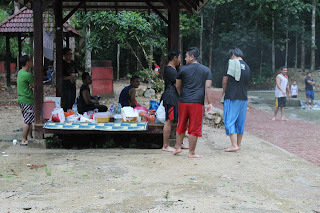 After Dean and Kechik finished manage for their members entering Air Terjun and BBQ set, I and HCCC crews with Dean and Kechik plus his Supportive wife and daughters also joined for Touge session at Air Terjun and Lukut Cina. 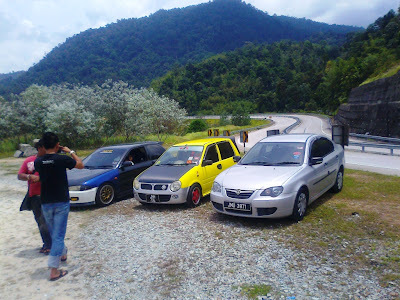 i am so proud because at last we can manage touge event at Kota Tinggi. 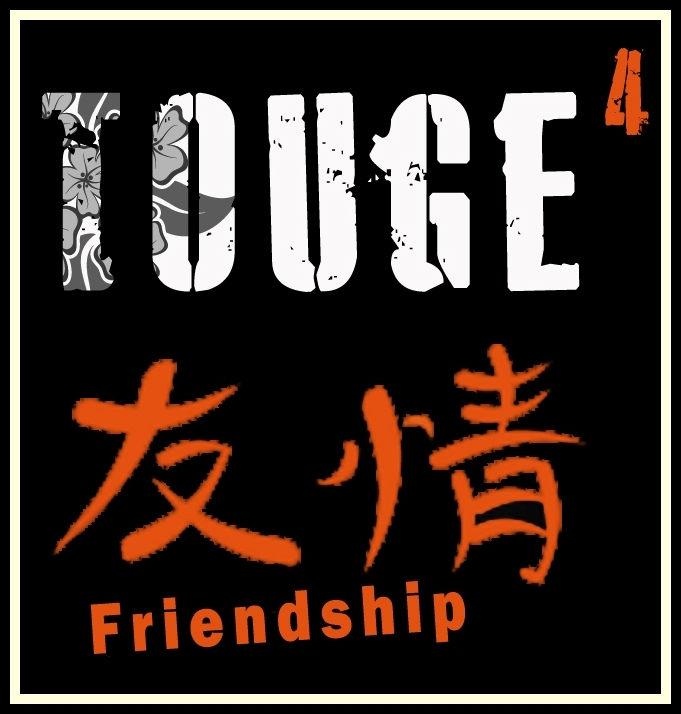 Even for the first time they coming here for touge, but their performing is well and we all exciting for that day. 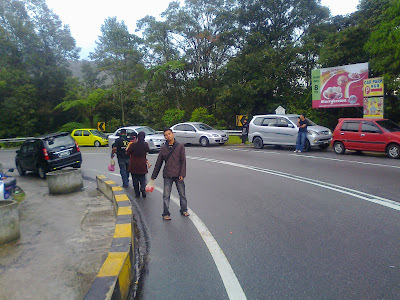 the road condition busy with little traffic at Lukut Cina. 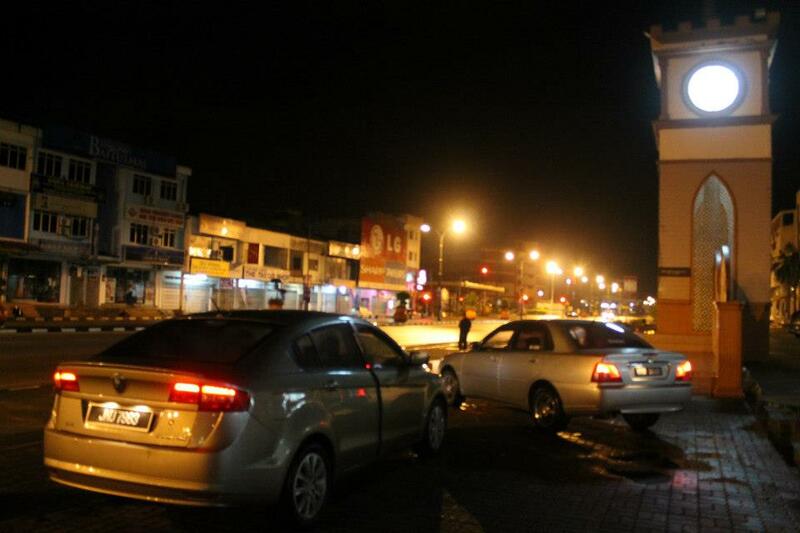 We hope we have some time for touge at Lukut Cina for night session. 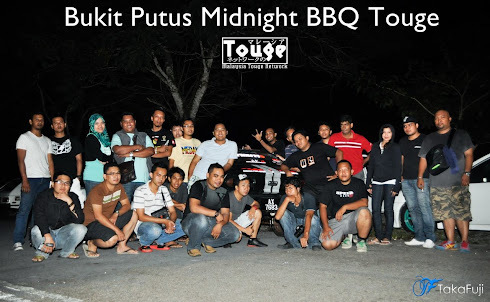 After we finished for touge session, everyone back to Air Terjun for enjoying picnic and BBQ there. we enjoying the day so much. 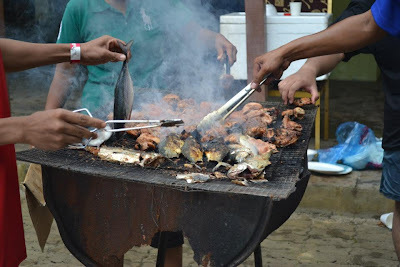 thank a lot to SIC crews because inviting us to joining the BBQ too. 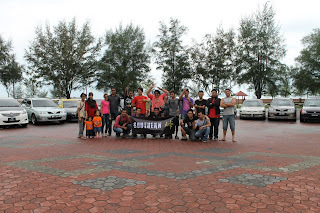 we appreciated and hope we can manage the next event at Pontian. about 5.30 p.m we all ready for check out from there. 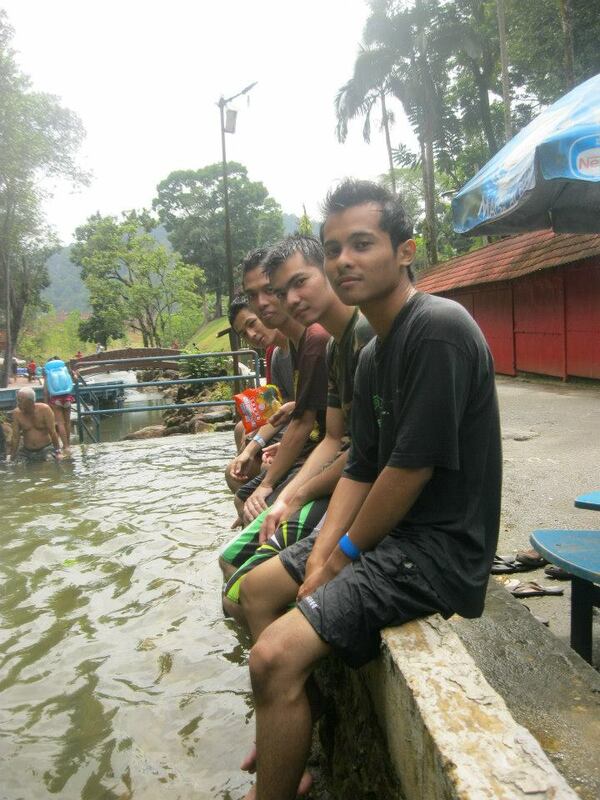 but before that we have some photo session at Air Terjun Wetworld Parking. 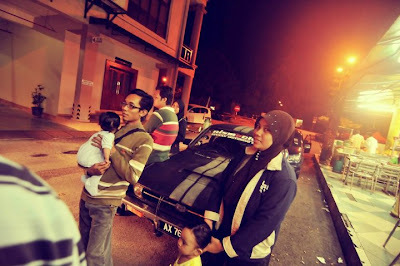 Kechik was managing for the photoshot by arranged the cars. the event finish at 5.45 pm and we all start dismiss from Air Terjun.